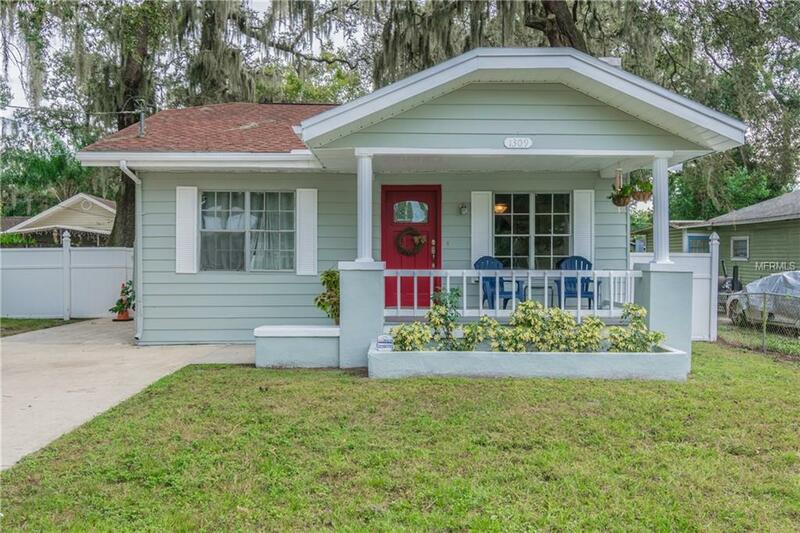 COME SEE this absolutely charming 3 bedroom, 2 bathroom bungalow located in Seminole Heights! This home has been completely updated from the kitchen to the bedrooms and bathrooms! Original wood, concrete, and tile floors throughout the entire home. The home also features an oversized completely fenced in backyard that is perfect for entertaining. The location of this home is fantastic as it is within a good walking distance or a few minute drive to all Seminole Heights has to offer (Bars, Restaurants, Shopping Etc)! Home has a newer roof (2015), air conditioning unit (2016), and all the electrical and plumbing has been updated (2017).